In every commission I work on, I do an ‘extra’ this is a gift from me for free, it is usually an upgrade of some kind. 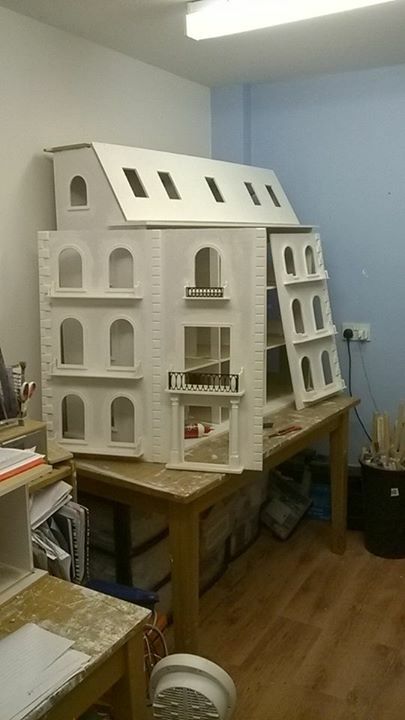 In this case I thought with the level of the interior finish this lady is having it was a shame to have the paper tiles on the roof, so I stripped them off and I will replace them with something more in keeping with the quality of the rest of the house decor. I don’t know yet, but my time and materials will be at my cost. This is the roof stripped and a base colour of white put on the house, my brief is to age the house…now I have a blank canvas.